The Friends of the Flange : Roll Call! A while ago, a friend and I got together and discussed our recent experiences volunteering on heritage railroads. He is associated with the Alaska Railroad, and has been active in the restoration of the ARR 557. Our shared excitement about the 557, as well as the numerous other restoration projects currently in progress, led to quite a bit of pondering about one question: Exactly how many operating steam locomotives are left in the United States? Both of us expected a quick, concise answer from Google or Wikipedia. As it turned out, though, we had broached one of those questions that appears simple when it is asked, but defies an easy answer. The most apparent complication is the problem of defining “operating.” Typically, the term would apply to a locomotive that is not only in functional condition, but sticks to some sort of regular schedule. This definition would encompass many locomotives running on heritage railroads, but would exclude some of the best-known examples of still extant locomotives. The locomotives of the UP Heritage Fleet, for example, often go for several years without scheduling excursions, but are most prominently known ambassadors of heritage steam. It is fairer to broaden the definition of "functional" to include seldom-run locomotives, but the ones designated out of service exist on spectrum of broken. At one pole there are those sad engines scattered around museums and city parks, condemned to stillness and silence, and at the other, those that are one repair away from running in proud defiance of a world that has moved on. In between are many possible fates. 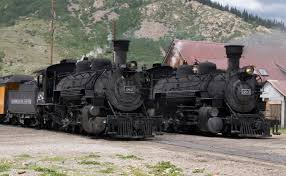 For example, every functioning steam locomotive is required to be periodically pulled out of service in order to undergo a thorough and federally-mandated 1472 inspection. In order to be passed, the locomotive must be disassembled, almost part for part. 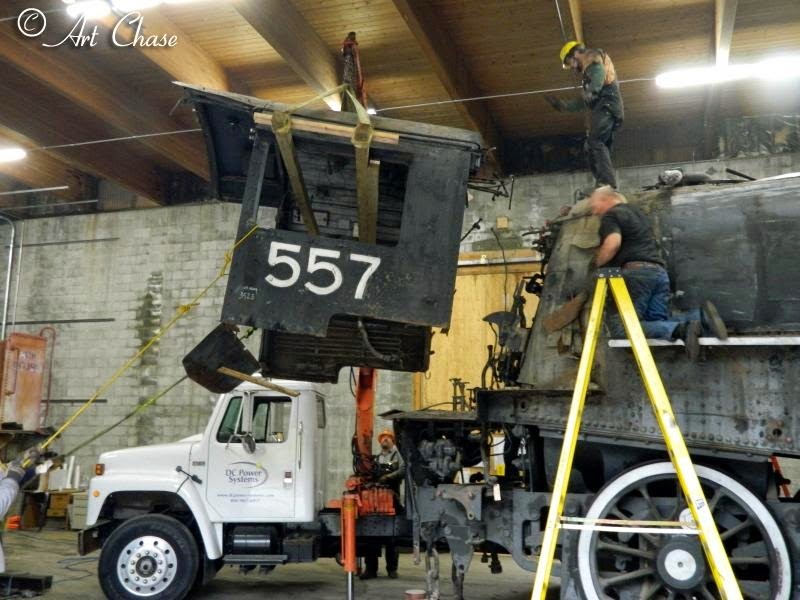 The process can amount to several years of down time, especially if the organization which owns the locomotive may be scrapped for cash and labor or if problems are discovered which require repair. Locomotives in the process of a 1472 can’t properly be counted as functioning, but neither is it fair to call them defunct before the results of the inspection have arrived. At the time of this writing, the UP 3985, the Pere Marquette 1225, and the SP 4449 are currently mired in 1472 inspections. Even with the most caring curators, though, steam locomotives are not immune to decay, and some fail to pass their inspections or suffer breakdowns. Raising money, or the ability to find facilities capable of repairing a steam locomotives in modern times, may take a locomotive out of service for an extended period of time. These machines are in a sort of purgatory: Non-functional, yet in easy reach of restoration if money and the scarcity of craftsmanship were no objects. Thanks to the efforts of many dedicated volunteers and donors, the 611 is now undergoing repairs and overcoming such a long hiatus. A glimpse of the controls and fire in are visible in this Six Flags locomotive. These are examples of practical difficulties in counting remaining locomotives. The other sticking point is more of a theoretical one. No one would deny that a standard 4' 8.5“ or a 3‘ gauge locomotive is a legitimate, revenue-earing piece of railroading equipment, but as the width of the track shrinks, it is more and more a matter of personal opinion to determine where an engine ceases to be a proper locomotive and is, instead, a live-steam model. 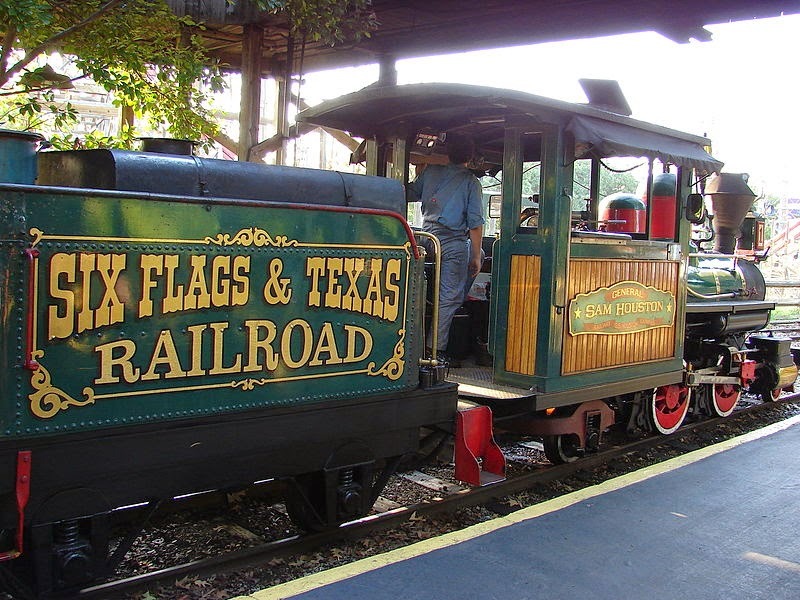 In the same way, it is a matter of opinion as to whether the narrow gauge steam locomotives hiding in zoos and amusement parks should given a place in the roster: They are functionally identical to their larger cousins, but are disassociated from the histories of existing or former railroad companies and may even have been constructed after the end of the age of steam. The best number I came up with, after perusing the excellent databases at www.steamlocomotive.com, is that if we count locomotives of a 24" gauge and above, there are approximately 245 locomotives currently capable of running in the United States. The number is higher if one wishes to count locomotives of a smaller gauge. Only three states--Mississippi, North Dakota, and Rhode Island--are listed as not having a functional locomotive somewhere within its borders. However, this number is an estimate. There are scant notes on the condition of the operating locomotives listed on the site, and a high percentage of them are are small switching engines, unsuited for pulling excursion trains, and thus are probably rarely, if ever, put under steam. Several more locomotives, not included in the count, were listed as "private" or "stored" without clarification as to their status. At the end of our conversation, my friend and I agreed, though, that while it is fairly impossible to reach a hard-and-fast number of currently operating locomotives, the average number is, in fact, growing. There are an astonishing amount of locomotive restoration projects in the works now, the 4014 king among them, and a swell of interest in heritage railroading. We have pushed back the inevitable day where the last fire drops for the last time. There is enough attention, cash flow, and volunteer activity to keep excursions running for another generation, and with growing interest, perhaps in the future, we will see an even greater variety of steam locomotives brought into service.